“Design for Failure“, we hear this Slogan and importance of this philosophy in many cloud forums and conferences. Yet, every day many applications are Deployed/Architected on AWS without this point in mind. The reasons could be ranging from technical awareness of designing High availability(HA) Architectures to Cost of Operating a complex global HA setup in AWS. In this article, i have shared some of my prior experience on architecting High Availability systems on AWS avoiding and overcoming outages. I feel this small gesture will create HA awareness and help the strong AWS user community to build better solutions. In case the Web/App servers are written on PHP, .Net , Python etc then all the user and session data can be stored on centralized systems ElastiCache -MemCached/Redis or Amazon DynamoDB. 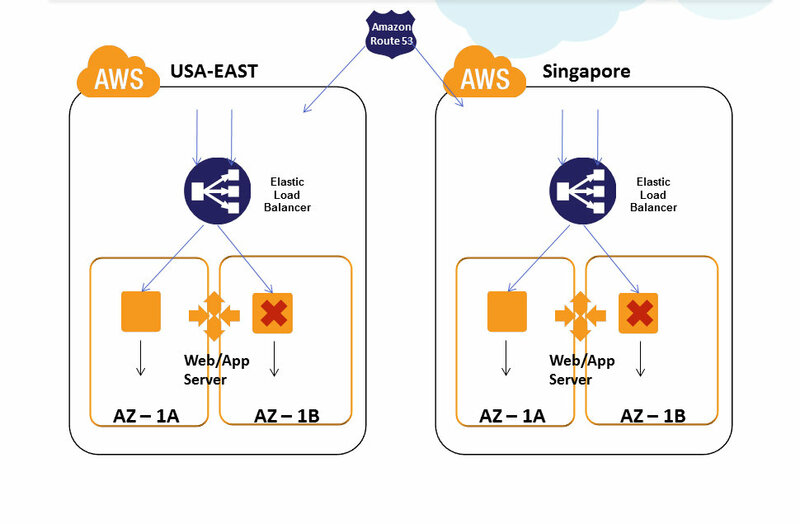 Deploy redundant ElastiCache Nodes in different Availability Zones for HA in AWS. ElasticIP based App Server switch will take ~120 seconds, not recommended for mission critical environments. It is advised to place the App servers under Load Balancers like Amazon ELB, HAProxy, Appcito etc for instant switch to healthy nodes. Session and User data can be stored on Database as well, i do not recommend this option. This can be followed as last option for software which are tightly built with databases. Uploaded User files and documents should be stored on common NFS or Gluster Storage Pool or Amazon S3. Lots of FUSE solutions are available in market which treats Amazon S3 as your disk, this provides good alternative for treating Amazon S3 as your disk. Note : Please carefully evaluate the latency requirements before treating Amazon S3 as Disk. Enable Session Sticky Policy in Amazon ELB or Reverse Proxies if Session Synchronization is not configured. This approach offers HA but not fail over transparency in App layer. DNS and Load Balancing(LB) layer are the main entry points for a web application. There is no point in building sophisticated clusters, replications and heavy server farms in the Web/App and DB layer without building High Availability in the DNS/LB layer. If the LB is built with Single Point of Failure (SPOF) it will bring down the entire site during outage. 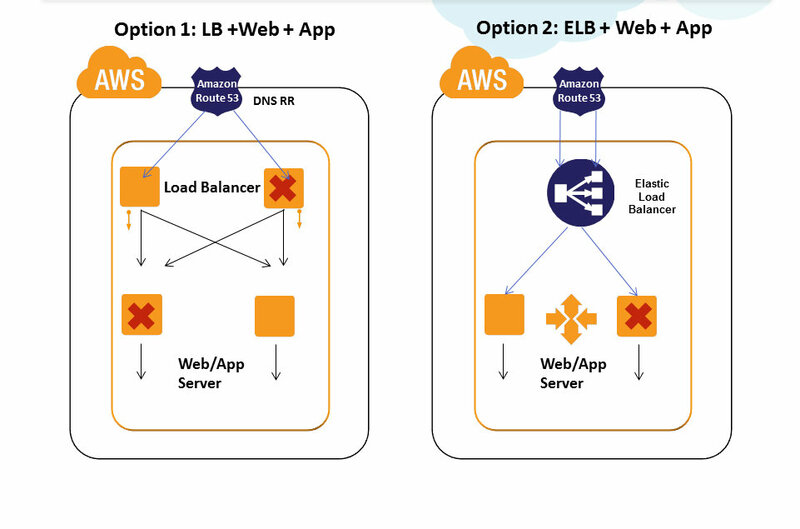 Practice 1)Use Amazon Elastic Load Balancers for the Load Balancing tier for HA. 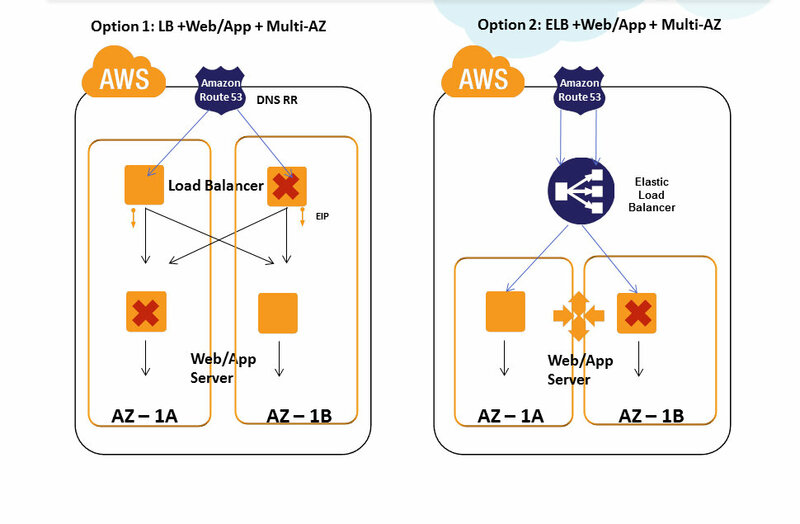 Amazon Elastic Load Balancing automatically distributes incoming application traffic across multiple Amazon EC2 instances. It enables you to achieve even greater fault tolerance in your applications, seamlessly providing the amount of load balancing capacity needed in response to incoming application traffic. It can handle thousands of concurrent connections easily and can elastically expand when more loads hit. ELB is an inherently fault tolerant building block and it can handle the failure in its layer automatically. When the load increases usually more EC2 Load balancer instances are automatically added in the ELB tier. This automatically avoids SPOF and overall site will be operational even if some LB EC2 instances in ELB tier have failed. Also Amazon ELB will detect the health of the underlying Web/App EC2 instances and will automatically route requests to the Healthy Web/App EC2 in case of failure. Amazon ELB can be configured with Round Robin in case the Web/App EC2 layer is Stateless and can be configured with Session Sticky for State full application layers. If the Session Synchronization is not done properly in the app layer then even Session Sticky balancing cannot save failover error pages and website failures. Nginx and HAproxy can be configured with Round Robin algorithm in case the Web/App EC2 instances are Stateless and can be configured with Session Sticky for Stateful application servers. If the Session Synchronization is not done properly in the app layer then even Session Sticky balancing cannot save error pages. Scale out of Load Balancers is better than Scale UP in AWS. Scale out model inherently adds new LB’s into this tier avoiding SPOF. Scale out of Load balancers like Nginx, HAProxy requires custom scripts/templates to be developed. It is not recommended to use Amazon AutoScaling for this layer. Note : One problem with scaling out HAProxy is that there is no common single dashboard to control multiple scaled out HAProxy nodes. 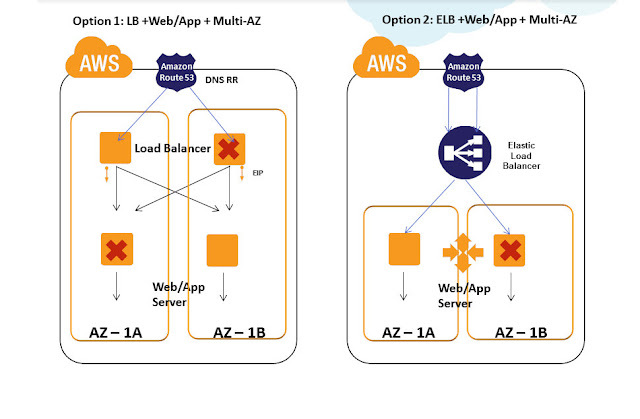 Load Balancers placed under the DNS needs the AWS Elastic IP to be attached. Since ElasticIP attach/Detach takes around ~120 seconds or more in some AWS regions, it is not advisable to run 2 LB’s switched between single ElasticIP model. It is recommended to run 2 or more LB EC2 instances attached individually with ElasticIP’s all running in active-active model under DNS/Route53. In event a Load Balancer EC2 has failed, we can detect this using CloudWatch or Nagios alerts and can manually or automatically launch another LB EC2 in few seconds ~ minutes in AWS for HA. Appcito offers load balancers as a Service. It is like Amazon ELB but with much more powerful features packed in the areas of Security, Performance, Access Controls for making IT ops life easier. HA at DNS Tier is an age old topic and been available for years. We used to architect HA solutions using Neustar -UltraDNS between AWS regions and DC before Amazon R53 became mature. The "DNS" ,Amazon Route 53 is a highly available and scalable Domain Name System (DNS) web service. Route 53 effectively connects user requests to infrastructure running in Amazon Web Services (AWS) – such as an Amazon Elastic Compute Cloud (Amazon EC2) instance, an Amazon Elastic Load Balancer, or an Amazon Simple Storage Service (Amazon S3) bucket – and can also be used to route users to infrastructure outside of AWS. AWS Route 53 is AWS inherently fault tolerant building block and a Managed DNS service. Amazon Route53 can be configured using Console , API's to do DNS level Load Balancing. R53 Weighted Policy and HA: DNS Failover can be configured with Active-Active or Active-Passive Failover Using Amazon Route 53 Weighted mode, where the switching between infrastructure during outage takes place based on the weights configured. 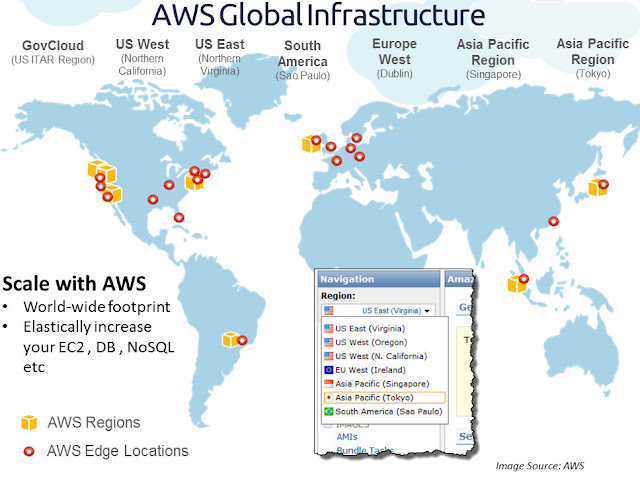 This is particularly useful when you are running a massive Geo distributed infrastructure on AWS. DNS Failover can also be configured with Active-Passive Failover Using Amazon Route 53 Failover and Failover Alias Resource Record Sets. In this case, the secondary is passive and only when primary fails the secondary takes over. This Active-Passive Failover mode at Amazon R53 tier is useful for switching over to passive DR environments in event of outage. 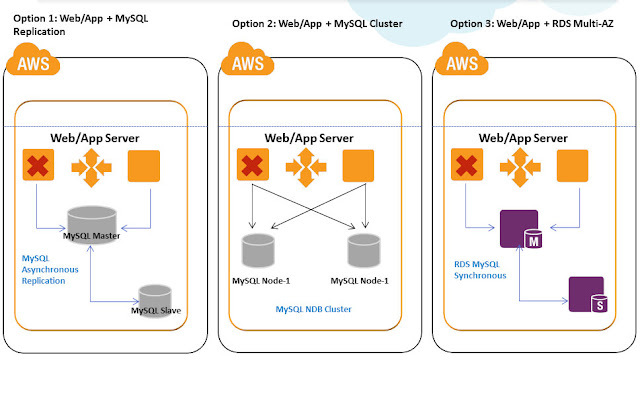 We can configure 1 MySQL EC2 as master and 1 or more MySQL EC2 as Slaves in this architecture. If they are deployed in AWS public cloud, then the Database Servers needs Elastic IP, if they are deployed in AWS Virtual Private Cloud, then we can work with internal VPC Network IP itself. Master and Slave will use Asynchronous replication of data between themselves in this mode. When the Master DB EC2 fails, using custom scripts we can promote one of the slave DB EC2 as master and ensure HA in this layer. We can have Master- Slave architecture running in Active-Active(A-A) or Active-Passive(A-P) HA mode. In A-A mode, all writes and immediate write-read txns should be done in Master DB EC2, independent reads are done from slave DB. In A-P mode all writes and reads should be done on master, only when master fails, slave is promoted and made active. It is recommended to use EBS backed AMI’s for all Database EC2 server instances for stability on disk level. For additional performance and data integrity we can configure MySQL EC2-EBS with various RAID levels as well in AWS. 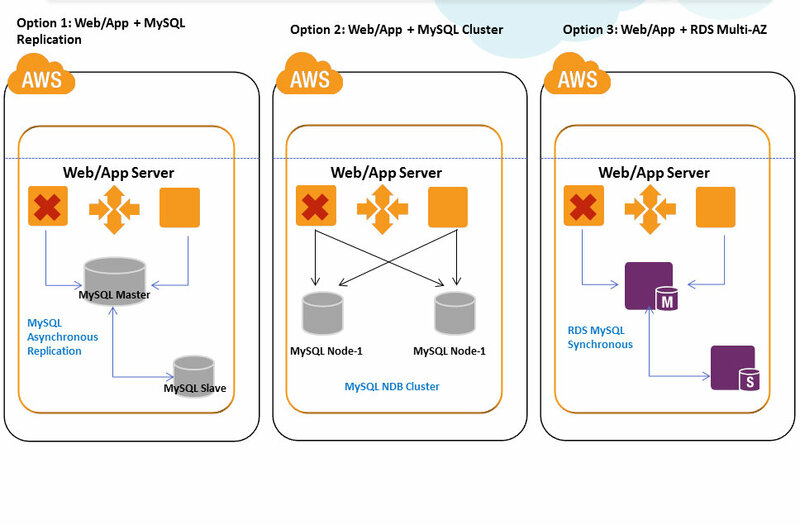 We can configure 2 or more MySQL EC2 for SQLD + Data nodes and 1 MySQL EC2 as management node in this cluster architecture in AWS. Both the nodes in cluster will use Active Synchronous Data Replication between themselves. Write/Reads can be performed on both the nodes simultaneously. When one EC2 DB node in cluster fails other will be active to take the txn requests. If they are deployed in AWS public cloud, then the Database Servers needs Elastic IP, if they are deployed in AWS Virtual Private Cloud, then we can work on internal VPC Network IP itself. It is recommended to use EBS backed AMI’s for all Database EC2 server instances for stability on disk level. For additional performance and data integrity we can configure MySQL EC2 cluster-EBS with various RAID levels as well in AWS. If we use Amazon RDS MySQL for the database layer, then we can configure 1 Master in Amazon AZ-1and 1 Hot Standby in another Amazon AZ-2 (will explain AZ concepts in detail in coming sections). We can additionally have multiple Read Replica Slaves attached to the RDS Master-Slave combination. For Additional HA, we can distribute RDS Read Replicas in Multiple AZ’s as well. RDS Master and Slave nodes will use Synchronous Data Replication between themselves. Read Replica Slaves will use asynchronous replication. When the RDS Master fails, RDS Hot Standby will get promoted automatically in minutes with the same endpoint URL. All writes and immediate write-read txns should be done in RDS Master, Independent reads can be done from RDS Read Replica’s. All RDS instances are currently built over EBS; RDS also offers point in time recovery and automated backups for stability. RDS can work inside Amazon VPC as well. 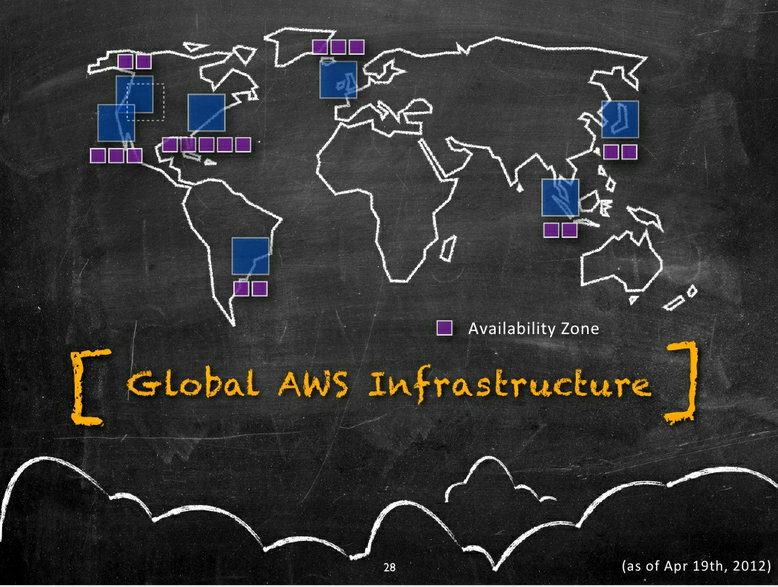 Amazon Availability Zones are distinct physical locations having Low latency network connectivity between them inside the same region and are engineered to be insulated from failures from other AZ’s. They have Independent power, cooling, network and security. 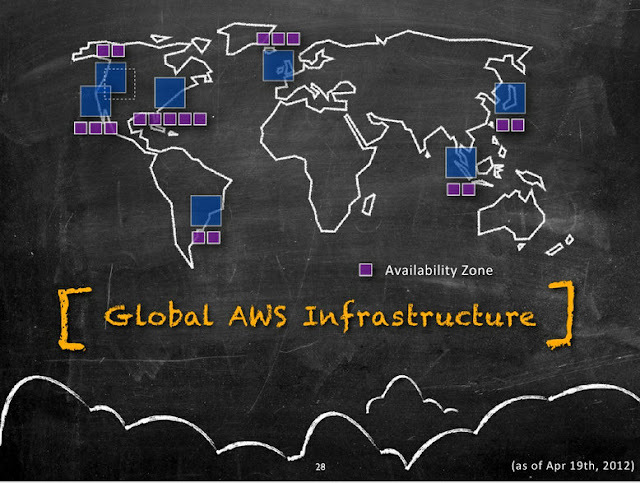 Following diagram illustrates the current distribution of Amazon AZ's(Purple boxes) inside a AWS Region(Blue boxes). Most of the higher-level services, such as Amazon Simple Storage Service (S3), Amazon SimpleDB, Amazon Simple Queue Service (SQS), and Amazon Elastic Load Balancing (ELB), have been built with fault tolerance and high availability in mind. Services that provide basic infrastructure, such as Amazon Elastic Compute Cloud (EC2) and Amazon Elastic Block Store (EBS), provide specific features, such as availability zones, elastic IP addresses, and snapshots, that a fault-tolerant and highly available system must take advantage of and use correctly. Just moving a system into the AWS cloud doesn’t make it fault-tolerant or highly available; it is usually recommended to architect applications leveraging multiple availability zones of Amazon inside a region as best practice. Availability zones (AZs) are distinct geographical locations that are engineered to be insulated from failures in other AZs and come really handy during outages. By placing Amazon EC2 instances in multiple AZs, an application can be protected from failure or outages at a single location. Following diagram illustrates the various tiers (with sample software's) that should be architected with Multi-AZ concept. It is important to run independent application stacks in more than one AZ, either in the same region or in another region, so that if one zone fails, the application in the other zone can continue to run. When we design such a system, we will need a good understanding of zone dependencies. Also most of the AWS building blocks are already built with Multi-AZ capability inherently. Architects and developers can use them in their Application architecture and leverage inbuilt HA capabilities. as Web Services which developers and Architects can use in their App Architecture. These building blocks are inherently fault tolerant, robust and scalable in nature. They are in built with Multi-AZ capability for High availability. Example: S3 is designed to provide 99.999999999% durability and 99.99% availability of objects over a given year. It is designed to sustain the concurrent loss of data in two facilities. Applications architected using these building blocks can leverage the experience of Amazon engineers for building highly available systems in the form of simple API calls. Everyday amazon team is working internally on improving these building blocks by adding more features, making them robust and usable. These building blocks have their own advantages and limitations and have to be carefully used in the architecture based on the use case and fitment. Ideal usage of these building blocks drastically cuts down the cost of developing and maintaining a complex system infrastructure and helps the teams focus on the product rather than infrastructure. Large enterprises who already have invested heavily on their existing data centers/providers may want AWS to be their HA/DR cloud partner. 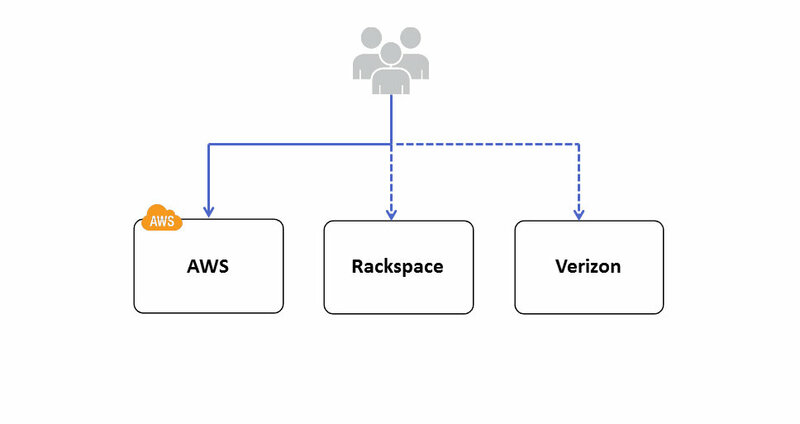 Enterprises have Private clouds like Eucalyptus, Open Stack, Cloud Stack or vCloud installed in their existing DC and in event of DC outage, AWS is used as the HA/DR infrastructure. Eucalyptus is the most compatible providers of all these private clouds with AWS because of the API level compatibility. Many workloads can be easily integrated between AWS and Eucalyptus. 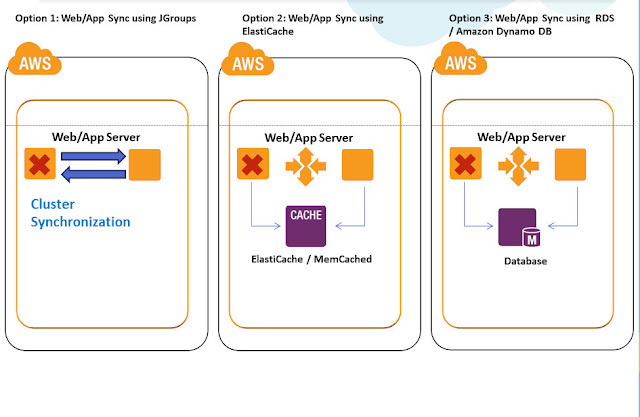 Example: Let us imagine the enterprise has developed some automation scripts for Amazon EC2 using AWS API’s in Eucalyptus Private cloud infra ; it can be migrated to AWS infrastructure as well easily during HA situation; Whereas if the enterprise is using Open Stack or other Private Cloud providers in their DC they might have to redevelop/test/release this script. This effort might not be cost effective option to develop and maintain for complex systems. 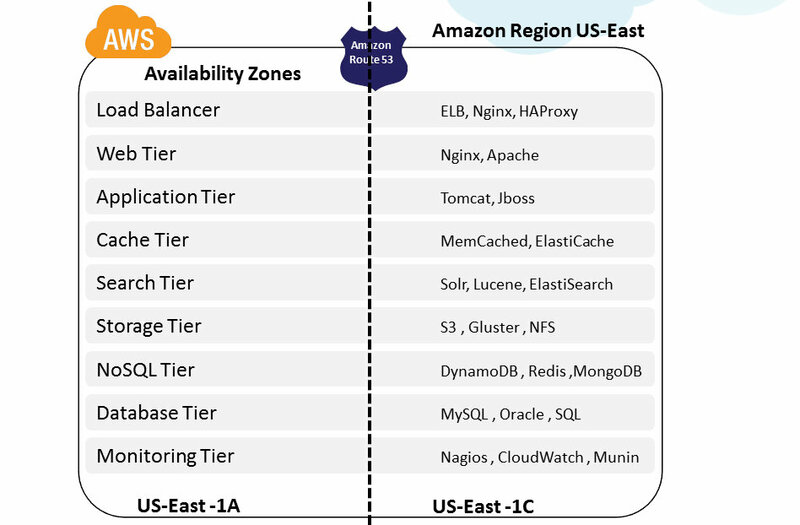 Companies which find their infrastructure not able to meet the Scalability/Elasticity demands will want AWS to be their primary cloud infra and existing DC/providers as their HA/DR. Companies which are not satisfied with the stability and robustness of their existing Public Cloud Providers may want Multi Cloud Provider deployments. This use case occurrence is very rare currently, may become central point when cloud dependencies and common standards emerge and mature in future. Data Synch: Usually this step will not be a big problem if the Data stores can be installed /deployed on Multiple Cloud Providers. Compatibility of Database software, Tools, utilities will matter a lot and if they can be feasibly installed, then this challenge can be effectively addressed in Multi Cloud High Availability. The switch between Multiple Cloud providers should be usually done on the Managed DNS level – Akamai, Route53, UltraDNS etc. Since these solutions are not Cloud Provider REGION dependent, they can be used to effectively switch user network traffic between Cloud Providers/DC for High Availability. Fixed IP address can be provided by DC / Hosting providers whereas many Cloud Providers cannot give a Static Fixed IP address for a VM currently. 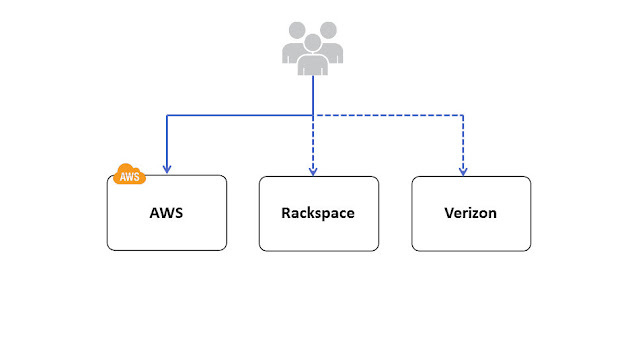 This might be a major bottleneck while architecting HA between cloud providers. Many times VPN tunnel needs to be established between Cloud Providers /DC to migrate and synch sensitive data across clouds. There might be compatibility or feasibility problems on supporting this feature from some Cloud Providers. This needs to be carefully evaluated while architecting Multi Cloud High Availability Architectures. Complex Automation Scripts using Amazon API’s needs to Redeveloped for Other Cloud Providers using their own API’s. Some Cloud Providers will not even provide API based management, in such cases it will become Maintenance mess. Well written one! However, as the recent outage shows, not many follow these principles. ComputeNext intends to enable HA across multiple providers by providing a common set of APIs across these providers. Please check out. This is the most detailed article I have ever read on high availability using AWS. Thanks for posting. Great article! Thanks a lot for sharing. I am really thankful to you for sharing this awesome article on cloud management. I really hope this information will be helpful for me for cloud management. Thanks for posting this. On the DNS level, yes, here comes the plug, easyDNS integrates with Route53 so if the amazon servers go down you have warm spares set up with the Route53 zone all ready to go. Just a quick NS delegation change at the registrar or let easyDNS do it with their hotswap nameserver feature. Here is another articles that covers the mechanics of setting up an ELB and DNS round robin on AWS. Just wanted to say thank you for taking the time to write such a comprehensive and simple to understand article. Hero! For a HA Database on AWS, I would just use Route53 instead of HAProxy which can do Round Robin to the Master(in Multi-AZ) and Read Replicas. Isn't this a simple system with less things to go wrong? Or am I missing something here?